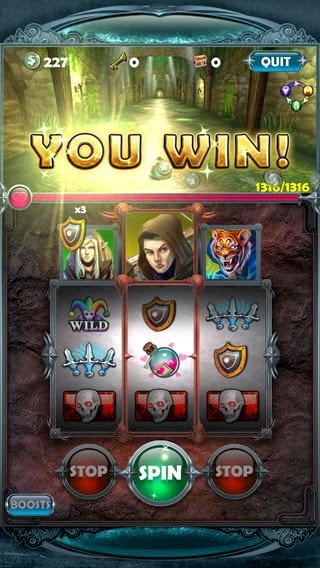 In Slot Revolution, players can choose a character from three unique classes - Warrior, Ranger or Wizard - in order to embark on a grand quest. Using slot machine-based mechanics, players must spin the reels to travel and battle their way through spectacular 3D environments. Players will also have to match slots to cast spells, use items and deal devastating damage to foes. Defeating deadly enemies can earn players gold, weapons, as well as experience to level up characters and create increasingly powerful equipment.